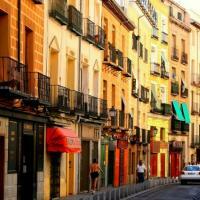 With a full day to explore, get an authentic insight into life in Madrid with a like-minded local by your side. 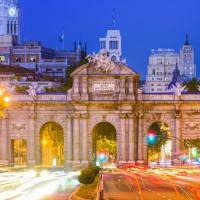 Immerse yourself in Madrid’s exciting culture as you discover the city’s most iconic attractions as well as getting a taste of local life in off the beaten path neighbourhoods. Your experience will be fully personalised to include the famous sites and areas you’d most like to see, but your Local Host will also show you the hidden spots and share stories along the way that you’d struggle to find in a guidebook. 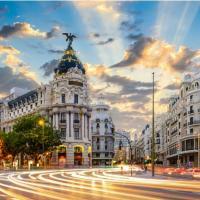 With a full day to explore, and a local friend to guide you, you’ll be able to create your perfect day in Madrid. 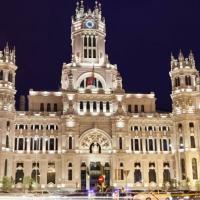 On your fully personalised experience, visit the top sights you’d love to tick off your Madrid bucket list as well as visiting the authentic spots that are recommended by your Local Host, giving you a unique insider’s perspective on life in the city that you wouldn’t find in a guidebook. Stop for lunch at a cafetería, street food market or tapas bar recommended by your Local Host, a spot where you can try authentic local cuisine and which suits your preferences, budget and dietary requirements. Our Local Hosts can all speak English, but many also speak Spanish, French, Portuguese, Hindi, Bengali, Indonesian and Italian so can connect with you culturally as well as with your personality. We had a 3 person tour (myself and my 2 kids, ages 8 and 12) with Silvia. She was great. She showed us everything we wanted to see with some extras too. We walked a lot but also had time to rest in a beautiful park or shop. Silvia is friendly and spoke easily with my kids. Her English is perfect. I would definitely recommend her.